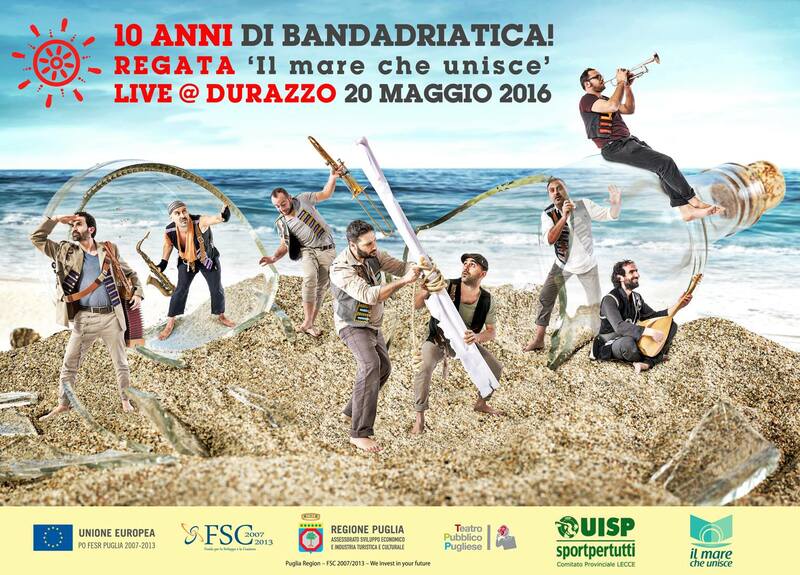 Tailwind towards Albania for the sailing boats of the ‘Il mare che unisce’ regatta, on may 19th through 21st, with the musicians from BandAdriatica jumping aboard to celebrate the band’s 10 years’ anniversary. The regatta is now at its third edition keeping up with its aim: building a bridge of friendship to Albania, while BandAdriatica returns to sea traveling to celebrate its 10th year of age in a place that is a symbol of its movement in the Adriatic Sea. A movement that involved many navigators and enthusiasts into honoring the gifts received through time by the migratory flows and the sea. These gifts are made of a music that is new even when, somehow, already known, that brings with itself the seeds of an ancient brotherhood: the Adriatic people’s one. The gifts have been delivered by the musicians who landed in Italy, like Redi Hasa, friend and co-founder of BandAdriatica, the Albanian virtuoso cellist landed in Italy in the late 90’s, as many other extraordinary colleagues of his. BandAdriatica returns to Albania after the success of the concerts in Tirana and Durres for the Rotta per Otranto project (May 2008) and the participation to the Festivali i Kenges (2009) with Bojken Lako, well known Albanian musician who puts together rock music and Albanian musical tradition. Bojken will be BandAdriatica’s guest again for this event. The sailing event has born from an idea of Vincenzo Liaci, promoted by Uisp Lecce, with the technical assistance of AssoNoProfit and sponsored by the Uisp’s Vela Nazionale. It is one of the most awaited appointments by Italian sailors and Valona community. Bandadriatica’s concert/party will be held in Durres in the night of may 20th on the occasion of the International Forum on the Creative Economy. This event has been realized by the Teatro Pubblico Pugliese within the Development and Cohesion Fund 2007-2013 entrusted by Region Puglia – Tourism and Culture Industry Department (EU – Region Puglia – Teatro Pubblico Pugliese – FSC 2007/2013 – “We invest in your future”). Musical performances on board are expected during the navigation, in the middle of the sea. 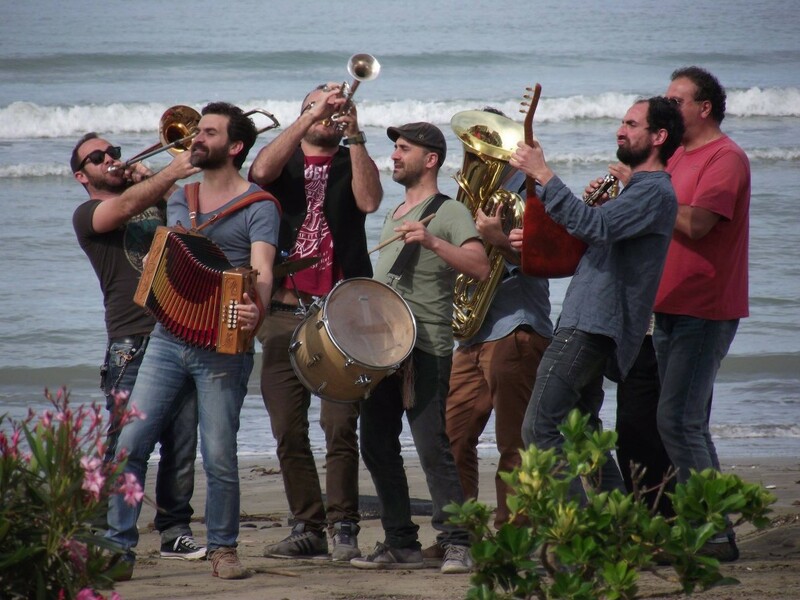 BandAdriatica will perform exactly where its music has ideally born: the spot where the sea, one day a long time ago, has ideally gathered the musical traditions we know today, wave after wave, from the shores of the countries facing it. Three days full of events and initiatives, among which there is a meeting with the children hosted in an institute for orphans in Valona. This year too the sailors will bring a “sea” of gifts (teaching materials, t-shirts, toys, etc.) offering to the kids, at the same time, an unforgettable sailing in the bay of the port in Vlora (which means “ship” in Albanian). The support to the friends from the other shore of the Adriatic will manifest in another initiative too: the students from the Art High School of Valona will realize an exhibition of their works, which will be presented in the Culture Palace of the city. The three most beautiful pieces will be purchased by Uisp Lecce in support of young local artists. There will be further collaboration with the Hotel School in Valona, in charge of organizing the prizegiving party, during which the twinning with some Italian Hotel Schools will be formalized. Besides, there will be an extension of the harbors where to hoist the sails in order to join one of the following races: “Vele per la cultura” (Gallipoli-Santa Maria di Leuca-Saseno), “Vele verso il Sole” (Otranto-Saseno) and finally, the “1° trofeo isola di Saseno”.